If your company offers a SIMPLE IRA (or if you are considering establishing a SIMPLE for your organization) and you want to see if it is possible to add alternative investments such as physical precious metals, you have come to the right place. SIMPLE IRAs are not a very common retirement plan offering, and are an interesting blend between more common employer-sponsored plans and Traditional IRAs. 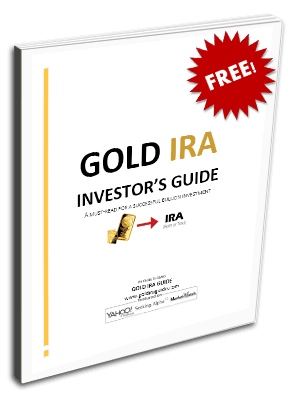 This page will cover what a SIMPLE IRA is, how they compare and differ from other retirement plans, how precious metals investing works, and how you can safeguard your retirement assets against stock market, currency collapse and other economic uncertainties. SIMPLE is an acronym for Savings Incentive Match Plan for Employees, and is the common name for this type of tax-deferred employer provided retirement savings vehicle. The SIMPLE IRA was designed to encourage smaller employers (100 or fewer employees) to provide retirement plans for workers while avoiding the complicated setup process of larger benefits packages. One of the primary benefits of a SIMPLE IRA, for instance, is that they do not fall under the guidelines of the Employee Retirement Income Security Act (ERISA), and thereby avoiding a lot of paperwork and administrative costs. Employers who offer SIMPLE IRAs are required to provide a certain minimum contribution to their employees accounts. This can either be accomplished by setting up a match program to a minimum of 3% of employee dollars or a flat rate of 2% for each employee based on their salary. Much like with a SEP IRA, employees who participate in a SIMPLE IRA plan are essentially opening up their own Traditional IRAs through the employer (although technically an employee could open up a 401(k) account through their SIMPLE Plan). One major downside to a SIMPLE IRA is that contribution limits are lower than standard 401(k)s or other employer sponsored plans (the limit for 2014 is $12,000). Additionally, SIMPLE IRA rollovers are more difficult and require a waiting period before they can be initiated — typically two years from the beginning of an employee's participation in the plan. During the first two years (or more, depending on the plan) of participating in a SIMPLE IRA, you are only allowed to transfer money into another SIMPLE IRA. This qualifies as a tax-free, trustee-to-trustee transfer. Any other transfer or rollover is considered a distribution and could result in a 25% tax penalty (most tax-deferred plans only carry a 10% penalty). After the two-year waiting period, you are eligible to transfer funds from a SIMPLE IRA into another form of IRA, so long as the transfer is not from a Roth to a non-Roth account, or visa versa. Both the existing plan and the new account must allow for this to take place. There are penalties for taking distributions in cash prior to retirement age (59 1/2). Additionally, if you are going to attempt a rollover, it is highly recommended that you opt for a direct rollover instead of an indirect rollover. Indirect rollovers have withholding requirements and run the risk of incurring early distribution penalties. "Maybe" indicates that gold investment options are a the discretion of your plan provider or brokerage. For example, certain 401(k) plans offer gold mutual funds or ETFs, while other do not. SIMPLE IRAs have the same investment choices that SEP IRAs have: all of the normal options of a Traditional IRA, with the ability (albeit very infrequently encountered) to offer commodity investments. The investments are restricted by the plan custodian. These are one of the very few accounts which allow for real gold, silver, platinum or palladium investments. Of course, SIMPLE IRAs can also invest in ‘paper gold’ through the purchase of stocks of gold mining companies, or mutual funds that hold mining company stocks, or ETFs that include mining companies. This is an indirect way to invest in gold. Gold investments are a simple, safe way to diversify your retirement portfolio. Gold (along with other investment metals) will help you protect your assets against stock market volatility and inflation.